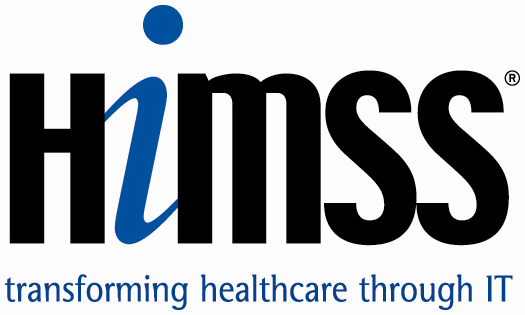 The massive Healthcare Information and Management Systems Society Conference (HIMSS) showcased an industry that is at the gates of major revolution. From a marketing perspective, it’s comparable to where we were at the dawn of the digital marketing revolution in retail ten or so years ago. A particularly notable attitude among the attending healthcare professionals at HIMSS was that most of them are ready for marketing 2.0. They’ve laid the foundation and know that marketing can impact their practice and they’re ready for more sophisticated marketing solutions. They know they need it, they understand their data can drive it, and they are looking for partners who understand how to make it work. Marketing agencies are better equipped today than ever before to serve the needs of the healthcare sector in highly meaningful and effective ways. They know how to communicate with the right stakeholders- both provider organizations and across vendor partners to help solve the biggest issues. The industry is at a critical mass where providers are ready for the services that agencies are well prepared to deliver. However, in order to be successful at serving the needs of the healthcare sector, marketing agencies must stay abreast of the new technology applications available to healthcare providers and work with them to better tie-in front end patient acquisition data to their business systems and ultimately to their business results. Three of the biggest themes I heard again and again during conversations and sessions at the conference mark the beginning of tremendous change set to revolutionize healthcare marketing. Technological integration of experiential data points. Many healthcare providers still use antiquated systems that have been in place for a long time, sometimes decades, to deliver services. Technology vendors at HIMSS displayed solutions that can bring all of the data from these systems together, providing better visibility than ever before into patient experiences and behaviors at every touchpoint. This is the kind of data that marketers crave because we know that it can be used to develop perfectly optimized plans that resonate with patients and feed data back to providers and patients that help them achieve the best possible outcomes. Interdepartmental collaboration. Marketers have traditionally had a difficult time getting in front of clinicians and service line teams that are busy making patients well. But today, integrated technology that shares data is helping to erode the silos between clinicians, IT, finance, and marketers. Solutions are being built on foundations that can be efficient across these departments and they are coming together. This is giving marketers access to information and expertise that is needed to create the best performing strategies. A culture of continuous improvement. Healthcare has more moving parts than any other sector. Patient expectations, reimbursement coding and requirements, out of pocket expenses and insurance partner selection are all examples of moving targets that must be continuously optimized. Those are in addition to the concerns any business might have: Does it make sense to construct a new building? Where is the next consumer (patient) coming from? Healthcare is in a unique space because the business is purpose and mission driven. It’s not only about making more money, it’s about impacting lives and making patients better. Because of that, the industry seeks continuous improvement where good enough is never actually enough. There’s always room for patients to emerge even healthier. Based on the technologies that were on display at HIMSS and renewed vigor for value-driven outcomes in all aspects of healthcare, marketers are in a unique position to finally deliver the results that this sector needs and deserves. Interested to hear about how RMI approaches patient acquisition marketing in today’s health consumer world? Contact our Director of New Business Development, Amanda Sparks, so we can help you!